Awesome vape store. I come here every week. The prices are competitive and they frequently have sales but, by far the best thing about this place is the guys behind the counter. They’re really friendly, love the products they sell, and enjoy hanging out with customers. When I go into this store, I usually end up hanging out and talking to them for 10 or 20 minutes. Definitely a nice change from Smoque Vapours. This place is has a good chill vibe to it. Knew what they were talking about and gave me a good recommendation based on what i was vaping with. assured me what i thought couldn’t be and that made me feel better about my purchase. prices aren’t inflated like a few places i’ve been to. i was in a rush and was totally rude, but will definitely be back. This place is great – the product is top notch, but the service is even better. These guys definitely know what they are doing and talking about and make shopping fun. Plus there’s a ping pong table they let anyone use whether you buy or not – that’s good business. Excellent – nice guys, knowledgeable staff, and they take a lot of time to talk and educate you about what you are buying. I came in from St. Louis and needed a coffee juice. They had a perfect one! I was very impressed with the place, the staff and the juice. Will stop by again when I’m in town. Vape312 is a premium vape shop that’s been operating in the great city of Chicago for nearly five years. We provide an excellent selection of personal vaporizers, accessories, and premium e-liquids along with friendly and knowledgeable service. We here at Vape312 work hard to bring you unique flavor profiles from around the world. We want our e-liquid menu to cater to all palates. Are you looking for something we don’t have? Ask us, and we’ll order it for you. We are constantly searching for new, exciting offerings for our customers. 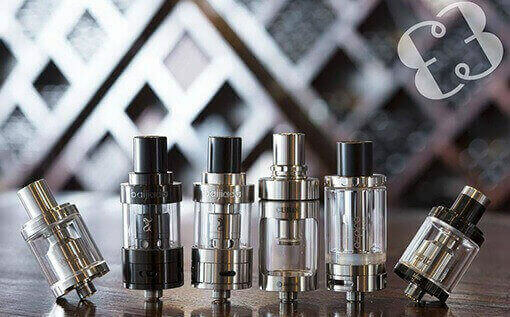 Electronic cigarettes (aka e-cigs, vape pens, vapers) are devices that vaporize a liquid solution (aka e-liquid or e-juice) to produce vapor with the appearance, sensation, and flavor of traditional smoking. E-cig vapor does not contain the tar, carbon monoxide, or carcinogens found in normal cigarettes and cigars, making it a safer and more pleasant hobby. You can enjoy smoking without worrying about polluting the air or stinking up your hair, clothes, or furniture. And because e-cigs do not produce real smoke, they make social situations a little less awkward between you and non-smokers. No more feeling bad about second hand smoke, yellow teeth, or bad breath. One more bonus: you can take “smoker” off your dating profile. E-cigs can be a real cost-saver as well, as e-liquid is very affordable. A pack-a-day smoker who switches to vaping can save $2,500 a year, and thousands more in health costs down the road. New to vaping? That’s totally alright. Vape312 is a casual place where you can relax while checking out our cool vape hardware. Our staff loves talking all things vape and we are happy to help vaping newbies. Want to learn how to make that perfect smoke ring? We can teach you. Our staff aren’t just bored salespeople; they’re passionate vapers themselves. If you’re an experienced vaper looking to customize your pen or find the perfect juice blend, we’re down to talk about that as well. You’ll meet vapers of all experience levels and from all walks of life. A lot of cool and interesting people visit us every day and they all have something to teach us. Vape312 offers a comfortable environment for socializing, as well as more private areas to work or study. Our lounge area has free Wi-Fi, comfortable chairs, dart boards, ping pong tables, and a full sized pool table. Come visit us, we can’t wait to meet you.